Having children is quite the blessing, but as a working parent, you’ll need adequate child care while you’re out being the breadwinner. When in-laws are unavailable, trust Happy Hearts Daycare And Preschool to provide the nourishment and nurturing your children need while you’re away. For over 30 years, they’ve proudly served Plattsmouth, NE, with exceptional child care and after-school care services. 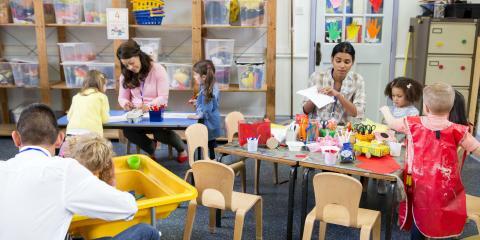 Accepting children ages six weeks to 13 years old, the child care providers at this day care center take in a wide range of children and offer an even wider range of services to ensure they get the attention and care they deserve. Whether it’s a healthy array of nutritious meals and transportation for children in need or summertime programs and field trips, this day care facility has everything you could ask for to ensure your child gets the care you want them to have. Find out more when you call Happy Hearts Daycare And Preschool at (402) 296-2760. You can also view a more detailed list of services on their website.